Nintendo just published a video for the upcoming 3DS Game Puzzle & Dragons Z, showing you how to perform combos by making an “L” pattern. 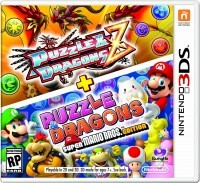 Puzzle & Dragons Z will be released in a bundle with Puzzle & Dragons: Super Mario Bros. Edition in Europe on May 8th and in North America on May 22nd.